To investigate the potential toxic effects of levetiracetam monotherapy on ocular tissues in cases of pediatric epilepsy using optical coherence tomography (OCT). 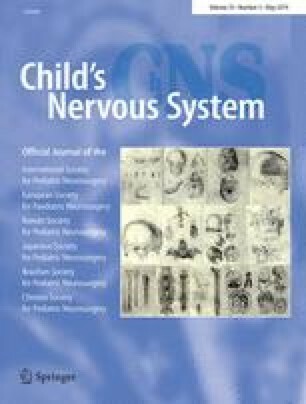 Thirty epileptic children (group 1) receiving levetiracetam monotherapy at a dosage of 20–40 mg/kg/day for at least 1 year with a first diagnosis of epilepsy and 30 age- and gender-matched healthy children (group 2) were included in the study. In addition to a detailed eye examination, peripapillary retinal nerve fiber layer (RNFL) thickness, ganglion cell complex (GCC) thickness, foveal thickness (FT), and central corneal thickness (CCT) were measured in all children by means of spectral domain OCT. The data obtained from the two groups were then subjected to statistical analysis. The mean age of both groups was 12 ± 3.64 years [1–12]. The mean duration of levetiracetam in group 1 was 24.07 ± 12.82 months. Mean RNFL values in groups 1 and 2 were 106.1 ± 10.42 and 104.98 ± 10.04 μm, mean GCC values were 94.72 ± 6.26 and 94.4 ± 6 μm, mean FT values were 240.73 ± 17.94 and 240.77 ± 15.97 μm, and mean CCT values were 555.1 ± 44.88 and 540.97 ± 32.65 μm, respectively. No significant difference was determined between the two groups in terms of any parameter. Best corrected visual acuity values of the subjects in both groups were 10/10, and no color vision or visual field deficit was determined. Levetiracetam monotherapy causes no significant function or morphological change in ocular tissues in pediatric epilepsies. Ethical approval was granted for the study. Informed consent was received from all children and their parents. The authors have no proprietary or financial interest in this study.